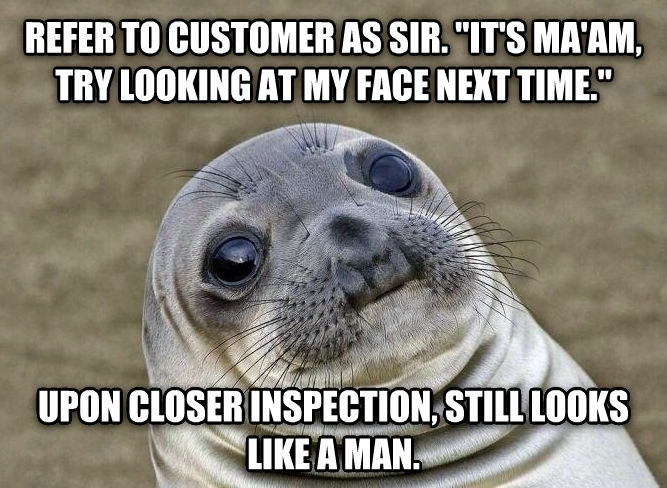 refer to customer as sir. "it's ma'am, try looking at my face next time." upon closer inspection, still looks like a man.